FIELD AND SKY Collection. 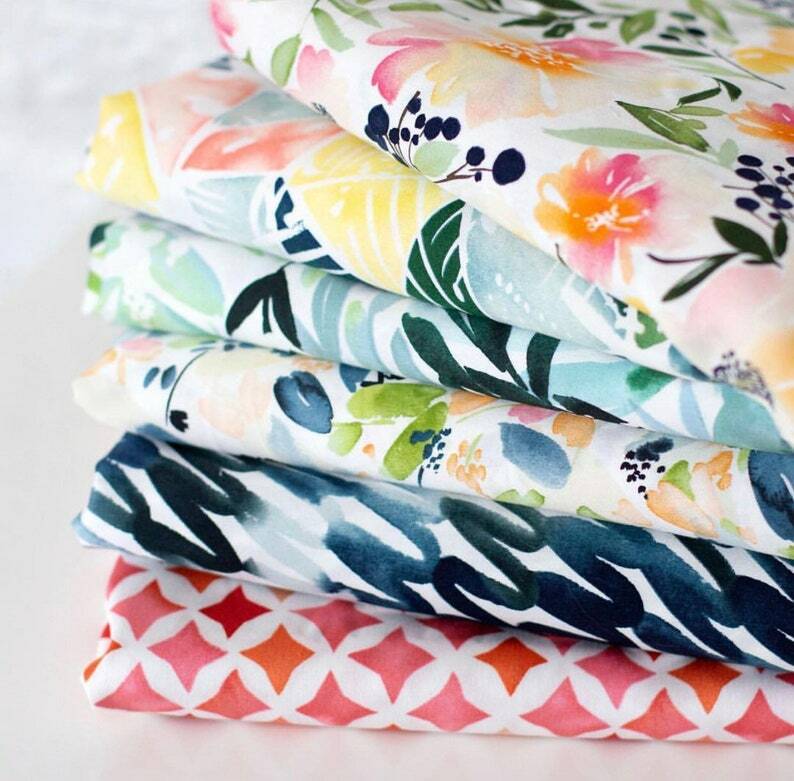 Organic Cotton Sateen in Yao Cheng's Gorgeous watercolors is so silky and buttery soft. Equally suitable for full skirts and tailored blouses. Weight: 5.32 oz. per square yard. Quick shipping! Exactly as described. Fabric is even better quality that I hoped!